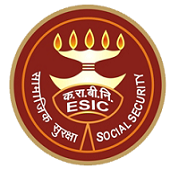 The Employees’ State Insurance Corporation (ESIC) has published the Phase II Main Exam call letters for it's Social Security Officers (SSO) Recruitment 2018. The call letters will be available from 23rd November 2018 to 15th December 2018. Earlier, the organization has released the results and marks of Phase I Preliminary Examination held on 3rd November 2018. Check below for more details.